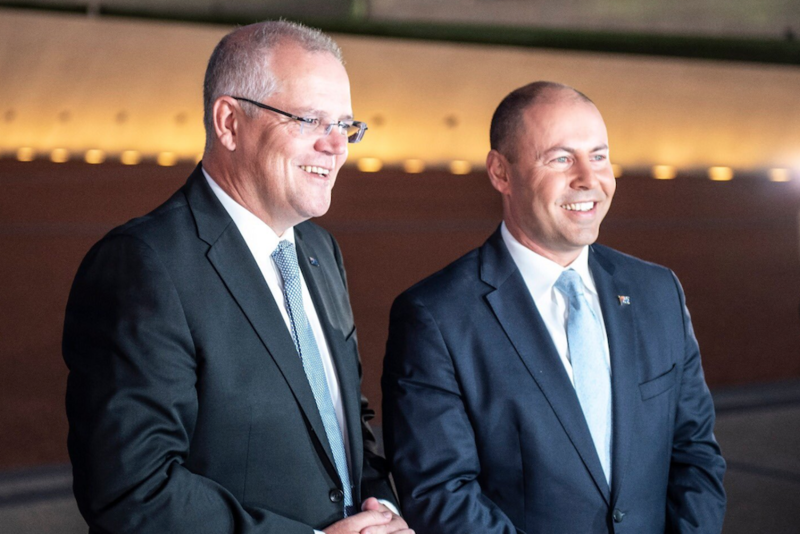 Prime Minister Scott Morrison and Treasurer Josh Frydenberg. North Queensland Flood Recovery Package: $3.1 billion over five years to support the North Queensland livestock industry, as it recovers from severe flooding earlier this year. Includes: Up to $1.75 billion for financial institutions to provide interest rate relief for business loans to flood affected primary producers; $1 billion for loans through the Regional Investment Corporation to assist with damaged crops, restocking and on-farm infrastructure; and $300 million in grants to primary producers (with a cap of $400,000 per producer) to assist with damaged crops, restocking and on-farm infrastructure. Future Drought Fund: Will use $3.9 billion in uncommitted funds from the Building Australia Fund, with the value of these invested funds expected to grow to $5 billion over the next decade. $100 million in disbursements will be available from the fund per year from 2020-21. Emergency Response Fund: $3.9 billion to fund natural disaster recovery. Up to $150 million will be available annually from 2019-20, along with $130.5 million over the forward estimates to reduce the risk and impact of disasters. Also $29.4 million to improve industry access to export markets, $30 million for agriculture biodiversity and $18.3 million to continue the war on fire ants. Instant asset write-off: The instant asset write-off, which allows businesses to write off assets (such as tools or equipment) against their taxable income, expanded to now cover purchases under $30,000, up from $25,000. It can also be used by businesses with annual turnover of under $50 million, up from a $10 million limit previously. Corporate tax rate: Rate for companies with annual turnover of less than $50 million will fall from 27.5 per cent to 26 per cent next year and 25 per cent starting in 2021-22. This is some five years earlier than previously planned and is expected to benefit around 970,000 companies. Trade and market access: $29.4 million towards creating new market opportunities for Australian farmers. Drought preparedness: $4.2 million to enhance the National Drought Map and develop drought indicators, plus improvements to the Farm Household Allowance program. Future farm labour needs: $1.9 million for an analysis of the future farm workforce. The National Farmers’ Federation applauded the Treasurer for the budget, saying it will help to achieve the NFF’s vision for agriculture to be a $100b industry by 2030, while delivering the first surplus in over a decade. However, not every box had been checked, with notable omissions included genuine action on an agricultural visa and a commitment to develop a National Agricultural Strategy. AgForce said the budget acknowledged agriculture’s vital contribution to the country and demonstrated solid support towards agriculture becoming a $100 billion industry by 2030. NSW Farmers welcomed the “back in black” budget, noting its support for drought assistance, export market access and investment in regional roads, rail and airports. 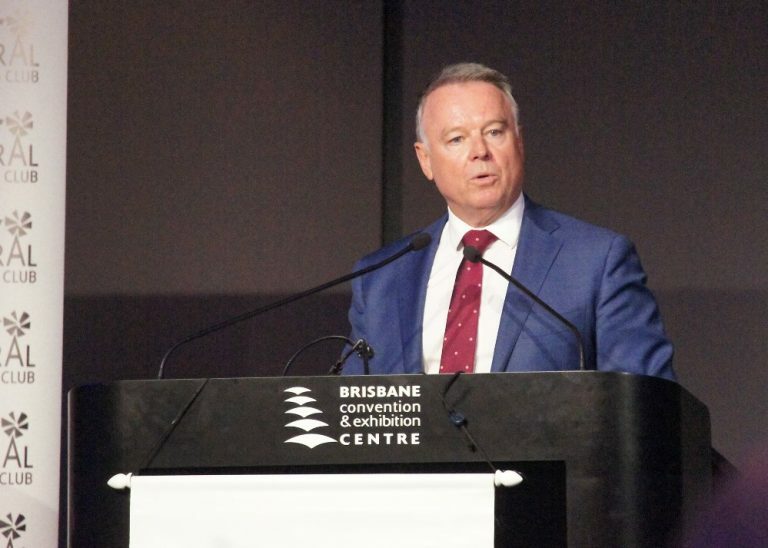 “The significant commitments to improve regional infrastructure and connectivity will go a long way towards ensuring our fresh food and fibre gets to domestic and export markets more efficiently and aid the drought recovery process,” NSW Farmers president James Jackson said. Farmers for Climate Action expressed disappointment in the lack of long-term strategies to address climate change. “The Budget completely fails to provide economic support for long-term strategies to address climate change. Without it, the much-welcomed disaster relief and recovery funding is like applying a Band-aid to a broken leg,” CEO Verity Morgan-Schmidt said. NAB Agribusiness Customer Executive, Neil Findlay: “This year’s budget confirms the significant funding for flood relief that was announced in March. We welcome this support, as we work to help our customers impacted by severe floods in North Queensland earlier this year to repair, restock and re-open their agribusinesses,” Mr Findlay said. Minister for Agriculture and Water Resources David Littleproud said the Government continued to target investment where it would bring the biggest boost to agriculture. 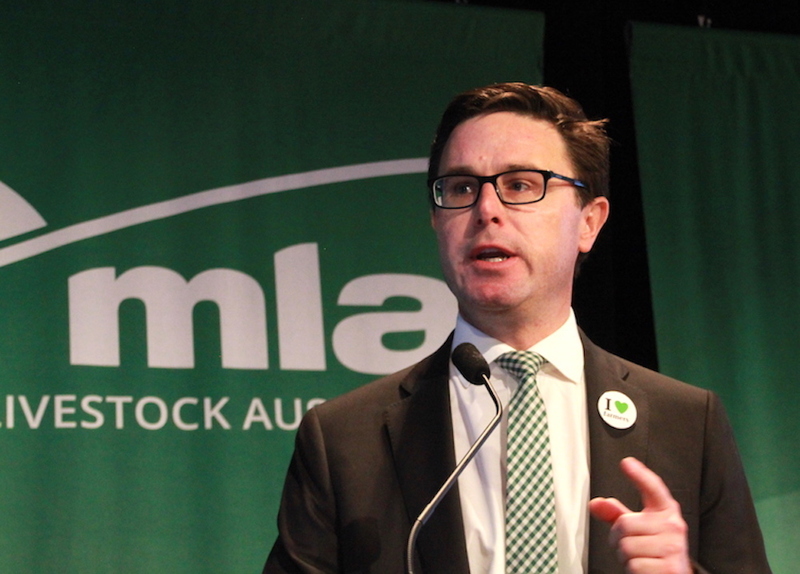 “This investment will get Australian food and fibre to more customers around the world,” Minister Littleproud said. “We produce the best food and we need to give our farmers as many markets as possible to send it to. Free trade deals decide the tariffs but we still need to negotiate protocols to send our produce across which satisfy the importing country we won’t bring pests or disease. “This package includes $11.4 million to break through the technical and scientific trade barriers so Australian fruit and vegetables can get market access into more countries, faster. “We only export 18 per cent of our horticultural produce, so there is big potential to grow. “We’re also getting behind boutique producers with a four year extension to the Package Assisting Small Exporters worth $6.1 million to build on its success. “This helps small exporters across the sector get market access for high-value goods. “Grants can go towards developing systems to meet overseas food safety and quality standards, tailoring products to foreign markets and solutions to technical barriers. “The government will continue to pursue free trade agreements which have tremendous potential for Australian agriculture through tariff reductions. “The Government is also investing $6.8 million over four years to extend the Agricultural Trade and Market Access Cooperation (ATMAC) program – an initiative of the Agricultural Competitiveness White Paper. “The ATMAC program is there for large industries and producers. “It has successfully broken down technical trade barriers and improved access to premium markets returning dividends for our farmers. “It funds projects to maintain biosecurity, influence regional and international policymaking and ultimately open, improve and maintain market access for Australian producers. “The ATMAC program will help us to build and maintain important trading relationships and recognise what’s important to our trading partners. “Overseas markets are crying out for Australian food – it’s simply a matter of making sure we meet overseas expectations when we send it. “Some $5.1 million will be invested to identify key barriers to trade in high export markets and then remove them. This will be done through the Enhancing Industry Action on non-tariff measures program through work with industry and importing countries. The funding will deliver 11 sector-specific reports to identify the non-tariff barriers to be targeted. “Trade is key to growing our agricultural sector and if we reach the goal of $100 billion over the next decade this will set us up with more jobs and opportunity for our kids. The Department of Agriculture and Water Resources Portfolio Budget Statements is available at agriculture.gov.au/about/reporting/budget. Federal opposition agriculture spokesperson Joel Fitzgibbon said the Morrison Government budget spending announcements were made with money ‘stolen’ from other areas of regional investment and amounted to hollow promises. “Drought affected farmers on the Farm Household Allowance (FHA) will also be shaking their heads as the Government makes yet another attempt to get the FHA right. The Government says it will spend $3 million in 2018 -19 to exempt net income from the forced sale of livestock from the FHA payment assessment as long as the farmer puts the funds into a Farm Management Deposit. This will do nothing to put cash on the table when farmers need it most. “This measure hasn’t been legislated and we are only four months away from the end of the financial year and heading into an election. According to the Budget papers the measure extends into 2019-20 but the Morrison Government has put only $100,000 on the table. The allocation of funding makes no sense at this point of the election cycle, unless the Morrison Government is seeking not to actually spend the majority of the funding. “Each and every time the Government tinkers with the FHA farmers have been left disappointed and this budget measure is just another example of an ill-thought-out policy. “After six years the Government has finally acknowledged workforce shortages are the agriculture industry’s biggest challenge but its response is vague at best. It appears its on-again, off-again promise of an “agriculture visa” is back off the table. “New programs to overcome non-tariff barriers to export markets are a belated admission that while Free Trade Agreements have been completed, market access to many countries remains elusive for many commodities. “The much anticipated Biosecurity Import Levy which was to provide needed additional funding for our critical biosecurity systems has been deferred until 1 September 2019 and this will hit the budget bottom line by $20 million. “The budget papers have also revealed the Morrison Government is cutting staffing by 217 positions and this will add further pressure to an already stretched department. “The fisheries and forestry industries will be left disappointed having being ignored again with no new funding for their sectors. What a pity the Budget announcement did not address the dire need for innovation in water resource management on Australia’s eastern seaboard in order to alleviate the drought disaster in the Murray Darling Basin and in the NSW Murray Valley in particular where, without water, food production is severely diminished, regional economies are decimated and millions of dollars of productive assets are stranded.